To change your password, follow the steps given below. 1. Click the <User Name> on the top right section of the screen. 5. 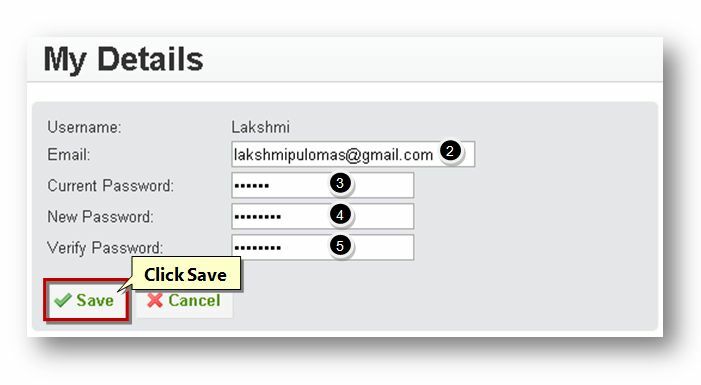 Confirm the password by re-entering the same in the Verify Password text entry box.